Architect. Served in the Ground Self Defense Force (Japan) for 6 years. After graduation, worked for Kohn Pedersen and Fox Associates (KPF), and Hellmuth Obata and Kassabaum Inc (HOK) in the USA. Upon returning to Japan, worked with Kajima Design. Since 2004, moved to Malaysia and currently operating the design firm - Hasegawa and Xavier Associates (HXA) in Malaysia. Some people say　that when they land at an airport of a foreign country, they can identify and associate the peculiar scent of that country in the air; which may be true sometimes. Like preconceived ideas people hold for some countries or cultures such as Kimchi for Korea, curry spices for India, they unconsciously picking up the various smells which exist in each airport and tune the brain to link up with those peculiar scents to the image of the country. The image and scent of Japan for me, as someone who has lived and spent more than half of my life outside of the country, may be subtly different from those who grew up and spent most of their life within Japan. If I were to answer this question of what kind of scent Japan has, I would answer “Tatami-mats” with no hesitation. When I first landed at the airport in Myanmar, for some reasons, I felt like I was engulfed with the fondly familiar “Tatami-mat” scent. The familiarity brings comfortable thoughts of the country to me. I have visited Myanmar several times since, yet the nostalgic feeling that I get from this land has remained. It may be partly due to when many developed countries imposed economic sanction on Myanmar, Japan had remained neutral. Many Burmese are earthy and gentle people, and that makes it hard to perceive this land was once under military dictatorship and the world had imposed economical sanction on to this country. Myanmar is now attracting the world’s attention as one of “Asia’s Last Frontier.” In March 2011, the newly elected President Thein Sein aggressively promoted the country’s new economic policies and emerging democracy. Since then, Myanmar has often been picked up by foreign media on its politics, economics and culture projecting independent views and angles. Myanmar has one of the lowest GDP per capita in the ASEAN countries. Their GDP per capita actually amounts to less than 1/40 of Singapore’s GDP per capita. The average national household income is very low. The expectation and possibility of being the next world’s factory after China is very likely, given the rapid rise of Chinese labor cost. The reason for Myanmar to be under the spotlight in Asia is not merely due to labor costs, but its abundance amount of rich natural resources. There are expensive mineral resources such as sapphires and rubies, high quality timbers and coals, so much that they are said to be the country where god gave the most grace. Since 2007, the annual growth rate of architectural industry in Myanmar is more than 10%. Most of the work right now is on the provision of infrastructure and development of housings for the locals. The prospect of growth in the architectural industry will be more from building manufacturing plants through foreign investment, as well as construction of hotels and tourists resorts to attract more foreign capital. One other important factor why Myanmar is attracting attention apart from its competitive labor cost and natural resources is its location. Myanmar sits vertically along the western shore of the Indo-China Sea connecting many ASEAN countries. With emphasis on the economic partnership among ASEAN countries, as they have a free trade agreement, the construction of a transboundary transportation network from north to south is rapidly in progress. The land transportation would bring a large economical effect by reducing the time and cost in comparison to the sea transport where, for example, goods transported by sea from northern Vietnam would have to go around the country and through the Strait of Malacca. There are also high-speed train construction plans from northern China to Singapore, to heighten the land transportation network. Myanmar has another important role as the only ASEAN country connected by land to the next economic giant India. 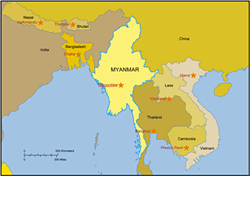 Myanmar’s economically significant physical location makes it as it sits in the middle connecting north, south, east and west with direct connection to China, India and the ASEAN countries. There are 3 cities in Myanmar where economic focus should be placed namely Yangon, Mandalay, and Naypyidaw. The former capital city of Myanmar, Yangon, is the most economically and culturally developed. 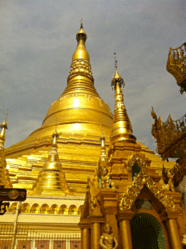 When I went to Yangon the first time – the impression I had was that it is a city with gentle undulating terrain. There are many small hills and valleys around the city radiating with rivers running vertically from north to south, and two lakes on each of the east and west sides of the city. It is a beautiful city. A land with many ups and downs, some people compare Yangon to San Francisco, but the angle of inclination of the hills is not as steep. I felt instead, it is rather close to the topography of Tokyo. During last few years, Myanmar has begun to see an influx of tourists. As a result, the cost and demand for land has increased drastically to meet the needs of this construction boom for hotels and commercial buildings. Mandalay is the second largest city located in the northern part of the country, closer to the Chinese border. As trading with China grows, this city holds a more significant role. The city is now experiencing rapid development and it is anticipated it will be even more significant when the transportation network is developed. The other notable city in the country is the new capital city of Naypyidaw. 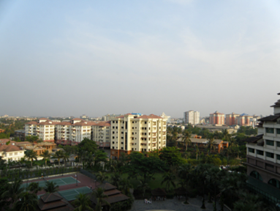 The city is located between the two largest cities of Yangon and Mandalay. Since 2003, it has been home to the nation’s central government administration. A decade later, it is just beginning to evolve. When the capital city was relocated to Naypyidaw it was still very much lacking in infrastructures development. These are the 3 cities which should be watched closely for the prospects of future economical development. There are other cities with potential economical growth such as Bagan - a city in the process of being nominated as a UNESCO World Heritage site, and other cities along the beautiful sea coast, as the tourism industries develops with time. The significant progress in the current development in Myanmar is mostly dependant on its natural resources. Henceforth, other approaches of development will be expected in avenues such as in tourism, invitation of foreign manufacturers for their production plant sites, and such. The main focus for Myanmar’s future development is the provision of infrastructure, laws, and the stabilization of public safety. For provision of infrastructure, other than the transportation network, a broad distribution of electricity is in immediate need. At this moment, The electricity distribution is less than 40% of what is actually demanded. Rampant power failures at the airport and shopping centers in Yangon, are a daily occurrence. For this reason, you can see various size of portable generators on the street corners of larger buildings in the city quite often. The communication infrastructure is not up to date as well. This will be a major setback for foreign investors wishing to expand their operations in Myanmar. Developing and laying out new laws and regulations are a priority for the government at this moment, but from the view point of developed countries, many Burmese laws are still not stable enough for investing their capital. A foreign investment law was passed just recently, however, building regulations and laws are almost nonexistent. They are also in need of organizing the laws and regulations to protect their own country as well as foreign investors. To attract foreign investors, the other obstacle that must be solved is the establishment of stable government. Myanmar is now in the throes of democratic and economic reforms, which - if analysts are to be believed - could completely transform the country. However many of the important roles are still held by the old military personnel who sits in the government. Lack of competent leadership and governmental personnel are another setback. It would be very interesting to see how the country is going to transform to democracy in the next general election in 2015. Since 2007, Myanmar’s architecture industry growth rate is 10% per annum. Currently, most of the work is infrastructure as well as residential development projects. Once these are settled, the next step is to invite oversea companies to invest in construction of factories, hotels and tourist resorts, which would help the industry to grow. While it is appropriate for Myanmar to be called the “Last Frontier” in Asia, it still has much to develop in the architecturally. As mentioned previously, there are no formal regulations drawn out, to govern architecture and building construction. Most of the hotels and commercial buildings that have been built by foreign design / construction companies are following the building regulations and guidelines of their home country. For example there are no setbacks or fire codes. The only regulation relating to building construction is the height restriction that it is not permitted to build any building structure taller than Yangon’s iconic tower, “Shewedagon Pagoda,” in its vicinity. The recent trend of escalating land price, has also affected architectural projects significantly making it less attractive for investment for many foreign investors. What is happening is that a lot of the land not in use, is owned by the military. The problem surfaced that the land is auctioned internally to military personnel and then sold to the public at inflated price. To prevent from foreign investors from shying away, the Myanmar government is now trying to create a system where all government owned lands are auctioned through the Myanmar Investment Committee (MIC), a government agency providing foreign investors an avenue to participate in the auction directly. It will be interesting to see how this system will function in the long term. There are no doubts that Myanmar is an attractive land for many architects. As many Japanese businesses focus on and start to invest in Myanmar, there will be the chance for many Japanese architects to be actively involved in this country. Increasing the amount of Overseas Development Assistance from Japan and International Yen loan related projects are available in the areas such as design, construction, and facilities where many Japanese specialists and engineers can participate. Also, as environmental awareness is still at its infancy in this country, one of the important things Japanese architects can contribute is to promote the practice of environmental architecture. There were many mistakes that came along during the tremendous economical growth Japan experienced after the Second World War, perhaps this is where Japanese can contribute to Myanmar from the economic lesson learnt and impart to Myanmar not to emulate the path Japan has gone through. The very first time I visited Myanmar was the beginning of this year. An acquaintance of mine in Singapore contacted me and asked if I was interested in planning to go and extend my profession in Myanmar. I decided to go and check out the place first. Now, not only with the investors from Singapore but I also called an investor from Brunei, whom I have know for a longtime, to join in for a planning of hotels and commercial facilities projects. One thing I have observed from my trips and experience in Myanmar so far is that there are many prospective investors and companies to Myanmar but they are lacking of knowledge of how to proceed. As architects, we should cultivate enough knowledge so that we can actively assist and consult investors and owners, instead of just sitting and waiting until they start projects and invite us to work. If you happen to be an architect reading this article, and are interested in expanding your business in Myanmar, I strongly recommend coming over here first. Because a “Frontier” is only for those willing to take a challenge and act on it. If it was received as only a construction work service, the new Foreign Investment Law as well as implementation of its details would not applied. The company is capable of receiving orders if business license based on the corporation laws is already obtained. There is no need for establishing locally incorporated office as long as business permission is obtained from DICA (Directorate of Investment and Company Investment). Association of Myanmar Architects、Myanmar Engineering Society. City Development Committee of each region.